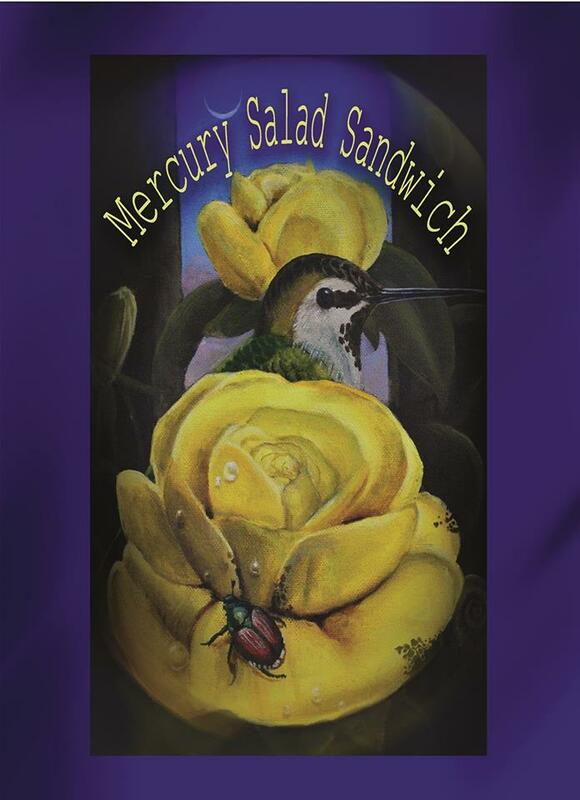 Rapid City, Mich. – Pond Jam festivalgoers will feast on Mercury Salad Sandwich this Labor Day weekend. They’ll heavily ingest the tasty “acoustic funk” tunes of the burgeoning folk rock and Americana quartet from Ypsilanti, Mich., during their 4:30 p.m. Sunday set on the Pond Jam Second Stage. 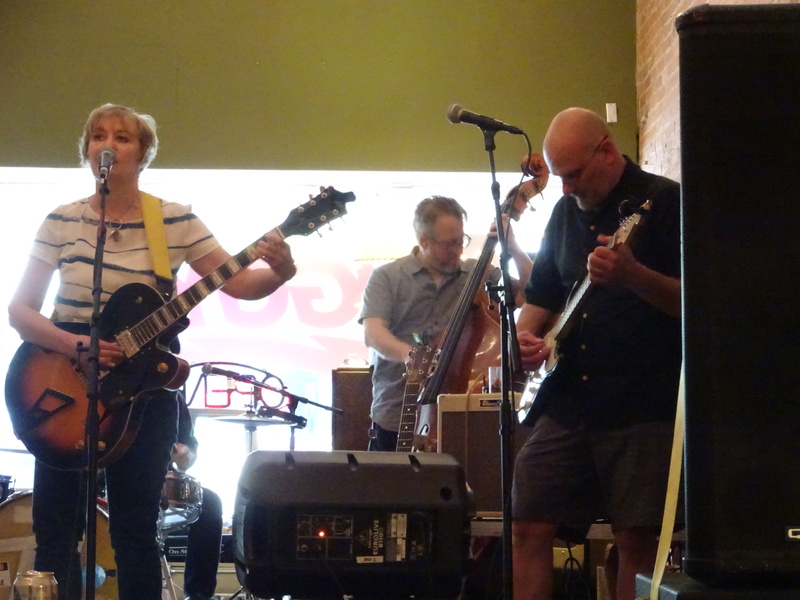 It’s also the first time northern Michiganders will sink their teeth into Mercury Salad Sandwich’s delectable music, said Brooke Ratliff, the band’s vocalist, guitarist and percussionist. A private event, the fifth annual Pond Jam will boast more than 60 bands on four stages today through Sunday at a family’s Rapid City wilderness getaway located about 20 miles east of Traverse City, Mich.
Pond Jam festivalgoers will see an eclectic set from Ratliff and her three Mercury Salad Sandwich bandmates, Kurt Bonnell (acoustic and electric guitar), Dan “Ozzie” Andrews (acoustic and electric bass) and Kyle Kipp (drums and guitar). Formed in 2015, Ratliff and her bandmates changed their name from The Hawks to Mercury Salad Sandwich after realizing the original moniker wasn’t well-suited for SEO purposes. By that time, Bonnell had joined the band and helped coin their new name. For Ratliff, Mercury Salad Sandwich seemed like the perfect way to sum up the band’s new lineup and “acoustic funk” approach, which incorporates elements of funk, folk and country into an acoustic-centered sound. Luckily, the band opted for unique “sammiches” instead of enlightened baked goods before heading into the studio to record their debut EP, “Volume 1,” last year. Recorded by Jim Roll and mastered by Dave Feeney, “Volume 1” was released in October on Detroit-based Assemble Sound. The EP features eight tracks nicely wrapped in slices of folk, twang, country, Americana, funk and rock topped off with an ode to whiskey. It’s the ideal combination of personal storytelling mixed with folklore about man-eating grizzlies and unconventional neighbors. The band’s latest single, “Welcome to My Life,” addresses the daily challenges people face with mental health issues and is one of Ratliff’s favorites. Mercury Salad Sandwich also recently released a new video for “Welcome to My Life,” which features colorful, mind-blowing fractal image stills and animation by Benevolence Messiah’s Mike Collins. Ratliff discovered Collins’ animations and music on Facebook and decided to collaborate with him on the video. While Mercury Salad Sandwich focuses mainly on original material, there’s one cover song on “Volume 1” that complements their eclectic sound – the 1976 Gary Wright hit single, “Love Is Alive,” taken from his eponymous “The Dream Weaver” album. Mercury Salad Sandwich performs at Ziggy’s in Ypsilanti. After this weekend’s Pond Jam, Mercury Salad Sandwich will perform Sept. 7 at Original Gravity Brewing Company in Milan, Mich. It will serve as the next evolution in the band’s live performances. In the past, the band focused on playing one-hour sets filled with original tunes and a couple of covers before building out a longer live set. Playing bigger venues like the Ann Arbor Distilling Company and Original Gravity Brewing Company now allows Mercury Salad Sandwich to double their set times. Ratliff and her bandmates also have appetizing new material to share with fans soon. 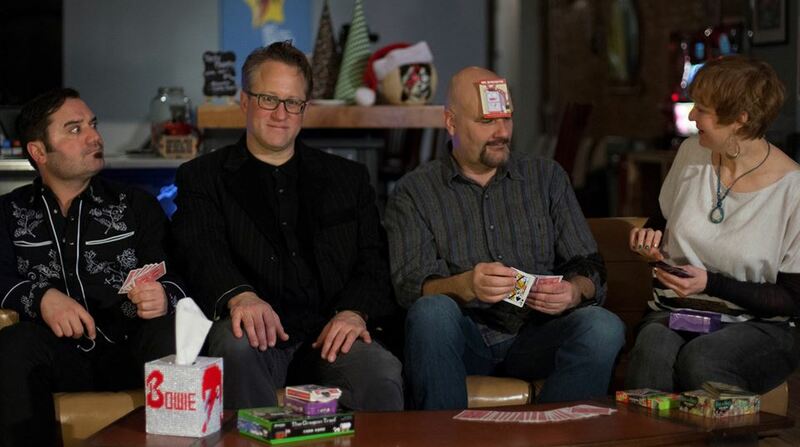 When the band recorded “Volume 1,” they also recorded a second EP, which will be released later this year. Hopefully, we’ll get a second and third helping of Mercury Salad Sandwich soon. Like the Pond Jam festival goers, we’ll be eagerly awaiting our first bite of their new musical morsels.